After my failed attempt to successfully grow an herb garden a few years ago, I had pretty much given up on the idea of gardening. After patiently watching my plants grow and dreaming up the ways I could incorporate them into my recipes, I was only able to use a handful of basil leaves before they shriveled up and died. Despite being able to add flavor to one meal, after all the hard work and anticipation, I decided it wasn't worth it. 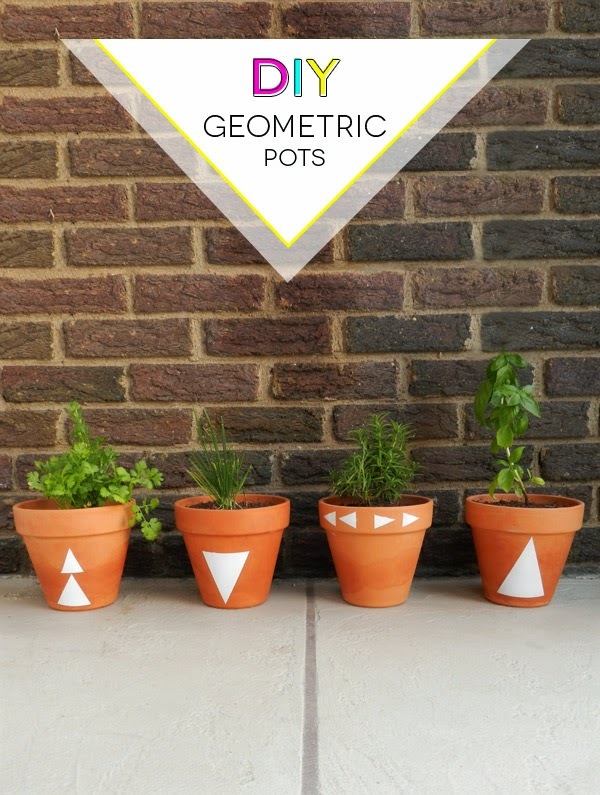 Needless to say I don't give up easily, and have decided to give my green thumb another shot along with making these DIY geometric pots. It only seems logical that plants grow better and require less work when planted in cute pots, right? 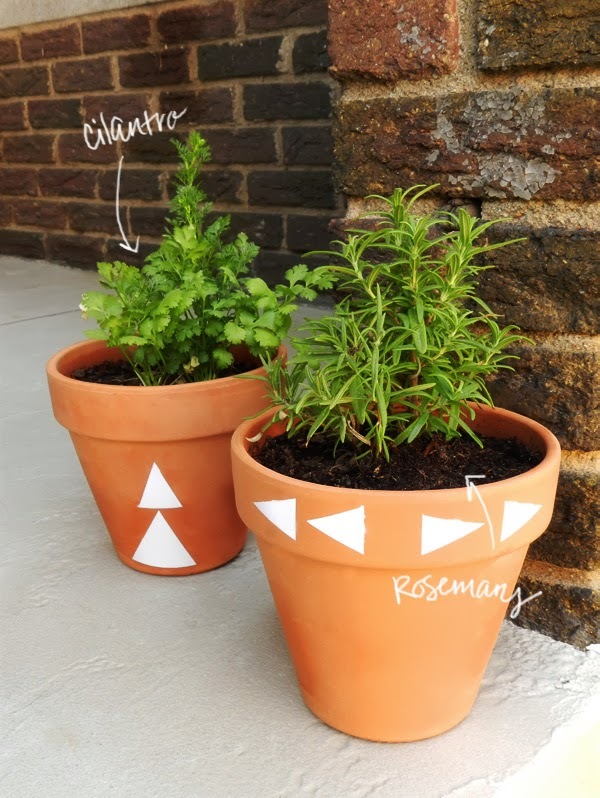 Ok, that may not be true, but at least I will be able to enjoy these pots long after the life of my herbs, no matter how long they last. 1. Begin by making sure your pots are clean and dry. 2. Next decide on the pattern or design you would like to make. You can either sketch something freehand, use a stencil or just wing it like me. I knew I wanted to incorporate triangles, so I just went to town with my painter's tape. 3. Once I had my design taped out, I used newspaper to cover the rest of the pot and also covered my workspace. 4. Next apply 2 even coats of spray paint in a well ventilated area, letting each coat dry a few minutes before the next. 5. Lastly, remove the painter's tape before the paint fully dries and allow your pots to continue drying according to the directions listed on the label.